The Miami U.S. Attorney’s Office issued a statement on December 3, 2017 regarding the sentence issued in the case of two Hialeah, FL men arrested for drug trafficking in Opioid pills. 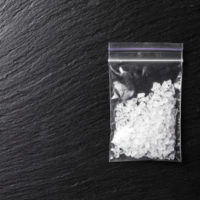 Newstalk Florida reported that the defendants were the subject of months-long investigation by the federal Drug Enforcement Administration and the Miami-Dade Police Department in 2012. After pleading guilty to drug trafficking charges, one man will be incarcerated for four years and the other will go to prison for three years. Had they not arranged a plea bargain with prosecutors, there may have been longer jail sentences, stiffer fines, and other penalties for the pair. The story demonstrates how pleading guilty may have certain advantages, especially where if you are facing federal drug trafficking crimes in Florida. Generally, a plea bargain involves an arrangement where prosecuting attorneys agree to pursue reduced charges against a criminal defendant; in turn, the defendant agrees to plead enter a guilty plea in the case. Plea bargaining is common in Florida and throughout the US because it helps manage the heavy case loads of criminal cases. A plea bargain involves less time, effort, and resources as compared to going to full trial on the charges. Lighter Penalties: Many arrangements will include a reduced sentence, which is attractive because you will spend less time incarcerated or on probation. It is also possible to negotiate a lower fine and/or court costs. Reduction of the Charges: In a plea bargain, you may be able to work out lesser charges in your case. It may be possible to plead down to a misdemeanor instead of a felony, which has considerable implications when it comes to sanctions. However, reducing the charges can also impact your life after you have served your sentence. You may be eligible for certain types of post-conviction relief, such as expungement, if you only have a misdemeanor conviction on your record. Cost for Your Defense: When you retain a lawyer to represent your interests in a criminal case, your fees are greatly decreased when you resolve it through plea bargaining. Conclusion of the Case: A plea bargain is the end of your case, which means you can move forward – whether that means serving time, starting the terms of your probation, paying a fine, or other requirements. The judge may not be obligated to accept the plea, which means your guilty plea stands – with all the consequences that come with it. Please contact the Fort Lauderdale, FL office of Kevin J. Kulik to discuss whether plea bargaining would be appropriate in your case.